» Podcast » AV 055 – Sleep: The Missing Key To Your Optimal Health? Sleep is an amazingly powerful, but commonly overlooked element of creating a healthy lifestyle. This is precious time that allows our bodies to heal and rejuvenate. Without enough sleep, soon your health will start to suffer. Paying close attention to the quality of sleep you are getting is just as important as eating a clean diet and regular exercise. So if YOU find yourself waking up groggy, barely making it through the day and turn into a total zombie before sun goes down – we want to HELP YOU change that! Believe us, it’s absolutely possible to wake up feeling energized, focused and ready to take on the day and yes, still have enough energy left to enjoy the evening. 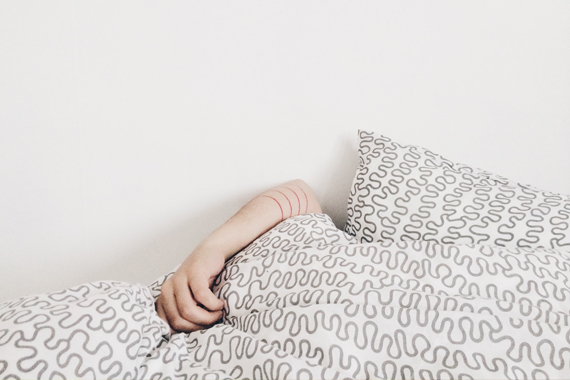 Read on (or listen to the AV 055 podcast episode) and learn how sleep quality effects your health as well as steps you can take right now to improve your night time rest. Did you know that sleep deprivation or poor quality of sleep are a catalyst for the disease and obesity issues we are dealing with today? Studies have shown that just one night of being sleep deprived can make you as insulin resistant as someone who is a type-2 diabetic. As a response, this will cause you to age faster and store more body fat. Remember sleep is (or well should be) a part of our everyday routine. Imagine what happens after weeks, months, and even years of consistent sleep deprivation? If you sleep more than 9 hours per night you will have similar outcomes as if you were to sleep less than 6 hours. So what’s the right amount of sleep? While sleep requirements vary slightly from person to person, most healthy adults need between 7 to 9 hours of sleep per night to function at their optimal level. Let’s look at it a from a different perspective; Generally, being awake is catabolic (breaks you down) and sleep is anabolic (builds you up). Whereas, sleep is actually an elevated anabolic state. Therefore it increases the growth and rejuvenation of the immune, skeletal, and muscular systems. Not to mention it will help balance your hormones, boost your metabolism, increase physical energy, and improve the function of your brain – especially your memory! There are two hormones in your body that regulate normal feelings of hunger and fullness. Ghrelin stimulates appetite, while leptin sends signals to the brain when you are full. So, when you don’t get the sleep you need, your ghrelin levels go up, stimulating your appetite so you want more food than normal, and your leptin levels go down, meaning you don’t feel satisfied and want to keep eating. The more sleep you lose, the more food you will crave and likely the more you will eat. Sleep deprivation is an often overlooked risk factor of developing type 2 diabetes, a disease where the body is no longer able to efficiently deal with sugar intake, and that usually leads to even more serious health issues. The primary reason that lack of quality shuteye can increase your risk of type 2 diabetes is because your hormone levels get thrown out of whack. Particularly, with ongoing sleep loss, less insulin (a hormone that regulates blood sugar) is released in the body after you eat. Meanwhile, your body secretes more stress hormones (such as cortisol), which helps you stay awake but makes it harder for insulin to do its job effectively. Too much glucose stays in the bloodstream, which can increase your risk of developing type 2 diabetes. So what do you think after reading all the above? Do you feel like you may be sleep deprived? Let’s work on changing that! We have put together for you 12 habits and divided them into 3 parts of the day – Morning, Daytime and Evening. Once you start to adopt these habits you will realize that everything from the moment you wake up until you lay your head on a pillow can have an impact on your sleep quality. “a disease where the body is no longer unable to efficiently deal” Surely that should read “no longer able”? I went through a long period of sleep deprivation. It is frustrating when you’re doing all the things conducive to good sleep and still can’t get rest. Somehow, within the last few months, the pattern has come back into balance.